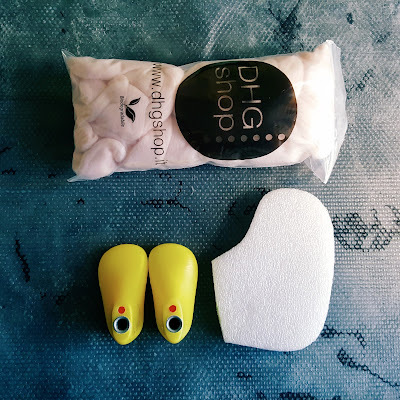 Today I would like to describe few of common felt-making beginners mistakes and give some advises to be better. I have accidentally found wet felted booties tutorial few months ago and have chosen as a bad example. Deeply sorry about that. Booties are cute and looks cozy. And even form of last is so pretty. Laying wool directly on shoe lasts. 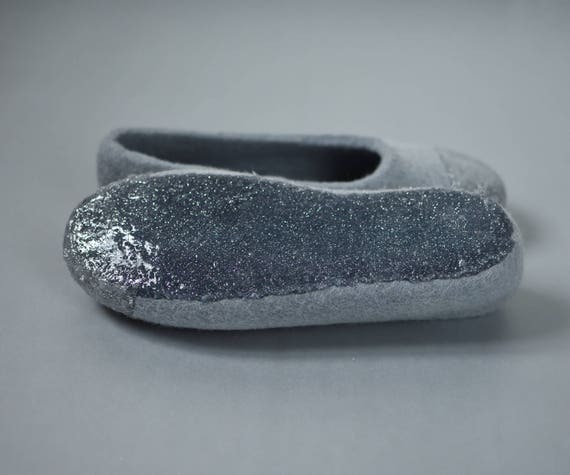 Shoe lasts are great in manufacturing felted booties, shoes, slipper, etc. but it should be used almost at the end of whole process. It lets to make a pretty form much easier. It also helps to felt stronger as we have hard surface inside the boot while felting. But I deeply do not recommend to use it at the start of the job. Why I do not recommend? As I mentioned at the precious post, wool must shrink enough while felting. I would recommend at least 1/4 but 1/3 would be better. So you should use a bigger flat template. I prefer polyethylene foam sheet, because it is stable and flexible when I need to pull it out. This is how my set looks like. I also use tulle, olive soap and hot water. Here I'll try to give some tips for felted product buyers and felt-making beginners as well. I make felted footwear mainly so basically I have it in my mind and I'm talking about it. Why? 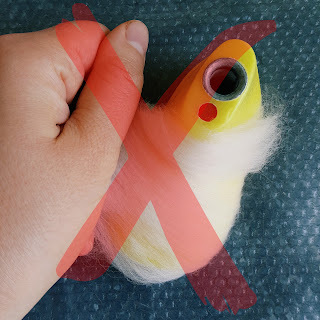 Because my colleague recently has shared some links and photos to some slippers and baby booties witch were... Well I can't say that stuff was not felted enough, it was pre-felted. Not sure is it legal to share a link to these products.But here are some advises. Felted footwear mustn't be fluffy. It must be hard felted and solid. If you are tying to make slippers by your self be sure it shrinks enough. Yes it takes hours of hard work. That's ok, that's normal. Well made felt cost a lot. Normally it cost more than all these pre-felted items. Well felted slippers or shoes might be worn up to one - two years. Depend how frequently. I'm working at home in my slippers, for example. Here are my slippers sizing for babies, infant girls and women in sizes I am able to manufacture at the moment. There is a gap between some age group but I'm working on to fill it with some new pairs of beautiful shoe lasts. Please pay attention on insole length given below. It is accurate. The foot should flush to the wall while measuring. 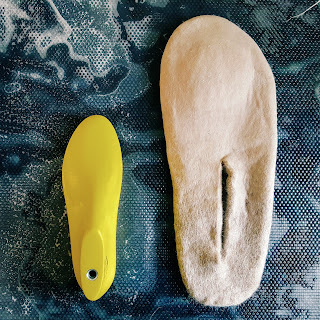 I have been searching the ideal slipper soles material for years. I tried natural latex liquid that was easy to apply but totally unsustainable product. It ribbed off easy and got dirty after short. Then I started using leather that was fine until first washing. I also tried out some micro-porous sole sheet, that has to be glued to felt with help of toxic glue and sewn after. Toxic glue was not the material I wanted to work with at the home with to my girls playing around so I kept searching. Today I'm using a kind of silicone liquid that has no odor and the label say its truly safe. Of course I had to play whit it for a while until I learned to finish my slippers quite pretty. The negative side of material I'm using now is being slippery on wet surfaces. So I suggest my clients do not forget they are buying indoor footwear. The soles are made to be stable on dry surfaces (it really woks on it well), but it's not a good idea to walk around the pool or wash the floor with wet wet mop and then walk on these wet floor. It would be uncomfortable. © musių-musė. Tema „Paprastas“. Teikia „Blogger“.